The ongoing conversation regarding utilities and rooftop solar grows as more press continues to cover the future volatility of the U.S. utilities market. Trends within the clean energy sector, such as the introduction of batteries and falling prices, have posed a future consequences that it will have on the electricity sector. Below, we will highlight briefly the relationship between utilities and rooftop solar, and explain how future market trends will severely impact the utilities sector. The way electric utility companies make money is not exactly straightforward. This is because they are monopolies, meaning that not only are they carefully regulated, but that they can only recover costs instead of profiting from selling electricity. According to Vox, utilities backed by investors make their profits by investing in grid infrastructure, then charging utility-users the cost of that infrastructure plus a “reasonable rate of return,” according to the state-run public utility commission (PUC). So by continuing to build infrastructure, this enables utility companies to ultimately make their profits. In order to recover their costs, and profit from utility users, they use flat volumetric rates. Within this rate includes a “flat” cost that is consistent for all users, as well as a “volumetric” cost that fluctuates depending on how much the user is consuming from the grid. This is why solar installation directly hurts the core of the utilities’ business model. When a user decides they want to utilize rooftop solar, they generate their own power, and can use net metering to sell excess power back to the utility grid. This decreases the amount of income they are receiving from end-users that covers the cost of the grid infrastructure and their return on investment. Meaning that for utility companies to combat a declining demand and less profits, they have to raise their rates for its customers to compensate for the loss. 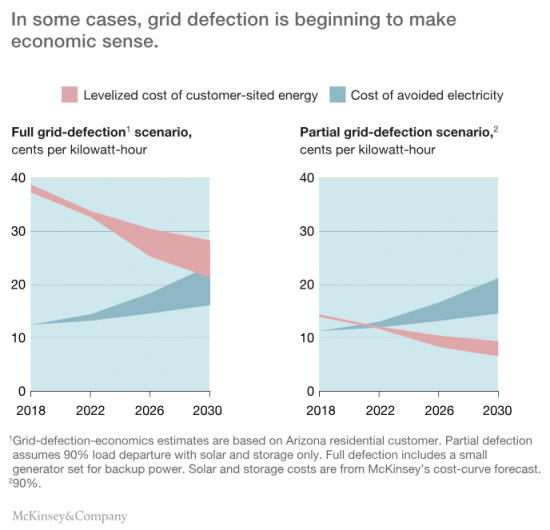 Certainly, this outcome would not only anger existing customers because of the higher price, but could result into them ultimately eliminating their utility use completely. Think about it for a second, if a user had to choose between utilities and rooftop solar, and one option was less expensive, environmentally friendly, a reliable investment,and you could profit off it, what would you pick? Currently, solar accounts for 1% of global electricity, which might not appear to be too menacing to electricity utilities, yet. Solar in a very short amount of time has experienced explosive growth due to various government incentives (example: ITC tax credit), clean energy initiatives, falling PV module prices and installations, along with cheaper, technologically more advanced batteries. Bloomberg Energy Finance forecasts 22 percent compound annual growth in all solar PV, which means that by 2020 distributed solar (which will account for about 15 percent of total PV) could reach up to 10 percent of load in certain areas. So What Exactly Should Utility Companies Do? Studies reported by Edison, along with other electrical companies, have acknowledged that the combined effect of cheaper solar installations, decreased PV module prices, and innovative battery use have left them in a “powerless” situation. It is difficult to exactly pinpoint what the best solution would be for utility companies to take next, but it certainly must start with abandoning their current business model. 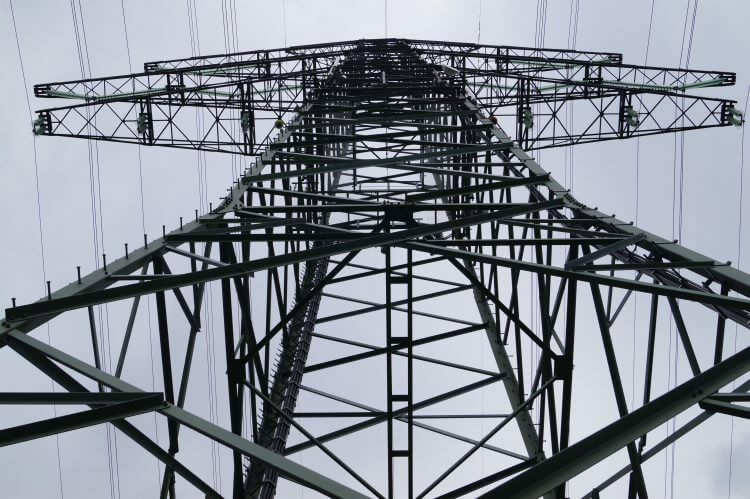 As times change and innovation within the electricity sector continues to grow, it is now more important than ever for electric utility companies to adapt, innovate, and deliver an added-value that it can provide for its customers. 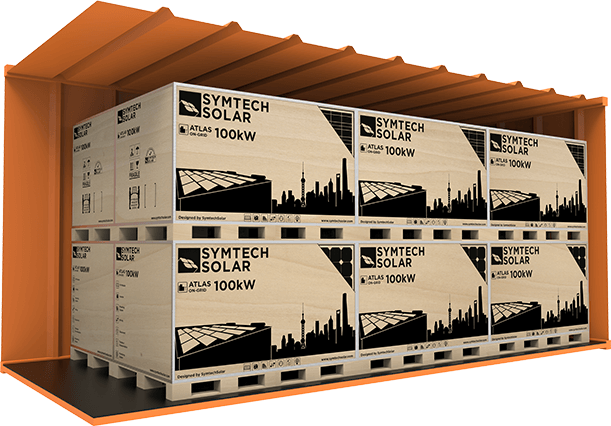 Symtech Solar is an upstream solar integrator that combines in-house manufacturing and assembling in Shanghai, China. This enables us to optimize our supply chain positioning, as well as quality control on our entire product line, as well as upholding cost-effective solutions. From offering our all-in-one PV solutions, to customized projects, and even international partnerships, we can offer an added-value whatever industry or type of business you have. If you have any further inquiries, we gladly can assist and answer any questions you may have.